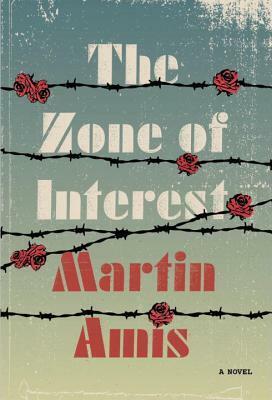 Although sharing with his previous novel Time’s Arrow a setting of the Holocaust, Martin Amis’ The Zone of Interest takes a distinct path more grounded in realism and history that comes far closer to humanizing the Nazis and collaborators. Such a theme is unsurprisingly controversial with the Nazi machine and atrocities achieving a distinction of being often considered as closest to pure evil and inhuman horror that something non-supernatural could get. Yet, while the scope of the Holocaust presents a type of extreme, the actions underlying it were not unique to its setting, but have recurred in various forms, to various degrees throughout history. It’s important to remember that actions such as these were perpetrated by humans that forever reason consciously chose to go down a path. Typically considered monsters, they nonetheless had (mostly) rationality, emotions, love, humor. Tackling such dark settings in historical is a tall order. Previously I’ve only read Amis’ London Fields, a superb literary treatment of the apocalyptic genre. Rather than comparing The Zone of Interest to his Time’s Arrow, I rather found myself more frequently recalling Les Bienveillantes (The Kindly Ones), the Prix Goncourt-winning behemoth by Jonathan Littell. Similarly ensconced in controversy, Littell’s detailed historical novel tried balancing humanization of a Nazi protagonist with characteristics one part of an unreliable narrator and another part of a figure from Classic mythology. The hurdle that both these novels are faced with based on their subjects and points-of-view is conveying literature of meaning, keeping historical details respectful and accurate, honestly portraying ugliness with knowledge that some will be sensitive, and simply telling a good story. Despite its immense size I felt that Littel’s novel (which I read in the French, so can’t comment on the English reliably) was mostly captivating. With Amis’ The Zone of Interest, I merely found portions here and there to really hold my interest and then mostly because of a profoundly well written sentiment or phrase. The language is great, the setting and desire to portray things from the point of view of Germans at a concentration camp is really interesting, but the plot of the story was hard to engage and even moreso an issue for something ‘literary’, the characters failed to engage. The Zone of Interest is told from the alternating points of view of three characters. First is Paul Doll, an emotionally unstable Commandant who has little regard for, and no respect from, his wife Hannah. Second is Thomsen, a more sympathetic, but rather unambitious, Nazi who falls into a clandestine relationship with Doll’s wife. Finally the third is Szmul, a Jewish prisoner who is given a role as Nazi collaborator (basically in exchange for the chance to biologically continue existence). Szmul is responsible for implementing the Final Solution by sending his fellow Jews to the gas chambers and dealing with their remains. This trinity of narrators is perhaps the largest reason why I found The Zone of Interest difficult to fully appreciate. Each narrator is quite distinct in personality and role. But they are also all recognizable in sharing glimpses of bittersweet humanity – even humor – in this darkest of settings, and also all manifest some deplorable moral condition. With three, it is hard to become familiar and drawn strongly to the point of view of any particular one, making the novel more like an interlaced trio of separate novels of a shared theme and loose plot. The love triangle plot line is present more for symbolism and revelation of character rather than entertainment from a story to follow. Of the three sections I found myself most fascinated by Szmul, because of his unique position as a Jew turned to enacting these horrors upon literally himself. Seeing this and comparing it to the similar or unique decisions made by other Germans or Nazis is enlightening and I do wish the story had been told more uniquely from his point of view, rather than switching. All of these issues are worth considering for any potential reader of The Zone of Interest, and hopefully if you are reading this it gives you a sense of whether you would give it a try. I do think it is a novel where you could start reading and realize fairly quickly whether it was for you or not. For readers new to Martin Amis I would also recommend that you not judge his work simply by this, he is a complex and gifted author whose works won’t necessarily fit into a ‘love one and love all’ or vice-versa equation. Understated and deceptively simple, “All Our Names” is the type of novel where you need to stop yourself and allow sentences and passages to digest fully before moving on. It is all too easy to enter this story, fly through its pages without ever becoming engaged and simply write it off as insubstantial. It is not a novel where you enter the narrative flow of its plot and it to sweep you away. It requires attentiveness and personal reflection. In other words, for its appreciation, Mengestu’s novel requires the reader behaves completely unlike its characters. 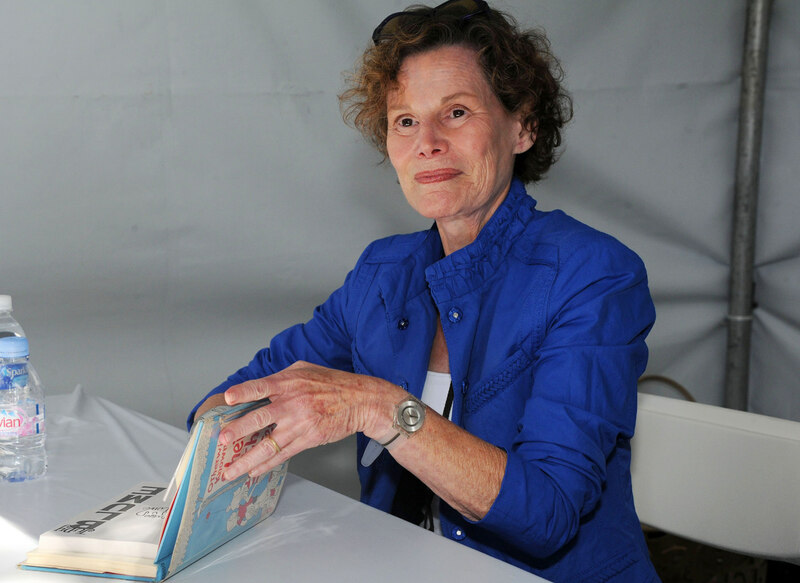 In “All Our Names” the two point of view characters, Helen and Isaac (who has many names), have become disengaged from their lives. In the case of Isaac, this occurs through the process of living through a tumultuous period in post-colonial Uganda, where through a dear friend he becomes involved in political revolution. This history, leading to the violence and trauma that ultimately brings him to flee to the United States as an immigrant, is related in chapters that alternate with those from the point of view of Helen, a social case worker who is assigned to Isaac upon his arrival in the US Midwest. Helen has an almost immediate attraction to the distant, kind, and out-of-place Isaac. Their relationship pulls Helen further from her familiar job and relations in favor of experiencing simple existence in the company of Isaac. This creates an interesting juxtaposition. On the one hand the characters are extremely distant, from one another and from the reader. We know few details about them, and even after learning the full story of Isaac’s past, we still no so little of him, not even his ‘real’ name. We learn little more about Helen. And each seems strangely indifferent to the lack of knowledge about one another. They are largely strangers, and while they have a certain curiosity, the point is not pressed. It doesn’t drive apart the relationship. Because ultimately, despite this distance of knowledge, emotionally the two are profoundly close. Isaac’s relationship with his friend in Uganda (also named Isaac, whose name he ‘took’ when fleeing to the US) is similarly based on a deep love without knowing the precise details of one another’s history. The novel thereby seems to resonate around this idea that identity is superfluous, ultimately inconsequential, particularly when looking on this grand scale of national politics and social upheavals, from the revolutions of Uganda, to the racism of Jim Crow America. 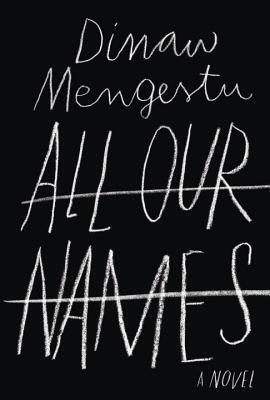 The characters in “All Our Names” have discovered that these labels that we use to identify one another: black, white, rebel, patriot, nationalist, immigrant, native, Isaac, Dickens, whatever – they ultimately are agents of division. Isaac (while either in Africa or North America), and Helen through association with him, have found deep human relationships of love to carry them through the tides of events, of uncertainties and new lands. They are no longer engaged with what is happening around them, they are not trying to control it, they are simply abiding, and living in a hope for a future. And they seem to have a realization that this relationship can transcend place and time. Typically, I will enjoy novels more that achieve a sort of beauty coherent with the story that will also make the plot and characters a bit more developed and intimate. However, here I can’t criticize Mengestu for not doing this, because I read it as necessary to what he is trying to accomplish with this novel. While this isn’t my personal favorite kind of novel to read, I can appreciate the power and control of the writing he has produced here.